Let’s Do Video (LDV) is an online-only news website covering visual collaboration technologies and strategies. Founded in July 2014 by David Maldow, LDV is more than the typical industry resource, adding intense thought leadership to the best industry coverage on the web. “Let’s Do Video” is what people on the cutting edge of productivity are starting to say when its time to get down to work. 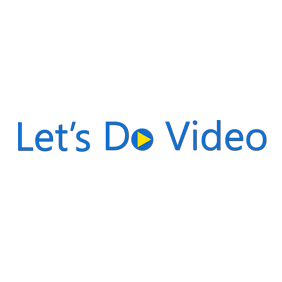 Let’s Do Video is a one-stop-shop for all the best information users need to navigate the inevitable transition from the audio-centric collaboration world of today to the increased ROI of video empowered work teams of tomorrow. David Maldow is the Founder & CEO of Let’s Do Video and one of the visual collaboration industry’s most prolific writers. Prior to founding Let’s Do Video, David was Managing Partner at Telepresence Options, one of the industry’s most recognized print publication and news site. It was there that he authored 150+ pieces of public content, gaining him recognition as an industry expert. Earlier in his career, David managed the Wainhouse Research Video Test Lab, where he developed the ability to assess products / solutions from an IT perspective, but with an eye for user experience and adoptability. David has a deep and broad knowledge of the industry and its underlying technologies, as a result of constant briefings with the industry’s leading execs and developers. With a technical base relevant to the IT crowd, and a writing style that breaks things down for the typical user, David’s vision for Let’s Do Video is to be a universal resource for the latest information about the continuing video revolution.